NVA is a contract manufacturer and an agent for several practitioner only and retail health brands. Glen Gillard is Natural Vitality Australia’s Managing Director and has been in the health industry for nearly four decades. He has studied and worked with many fore fathers in natural medicine and has acquired many modalities over the years including Naturopathy, Iridology, Hypnotherapy and Kinesiology. He has owned the retail brand of products under the WonderFoods label for nearly as long as he has been a Naturopath and still to this day, WonderFoods has the best milk alternative and Tangy Vitamin C powder on the market. His passion for health and helping people and also being of a business mind, has seen him own health food stores in Sydney and Brisbane and wholesale distribution companies in Melbourne and Queensland. All the while also having clinics and seeing patients wherever and whenever he is able. Continuing to educate himself with seminars and being an avid reader, (Glen has a library of health books that spans a 3 meter wall) there is not a symptom or a disease that he would not be educated or have advice on. It is his clinical experience and thirst to help people, that ultimately created Natural Vitality Australia. Natural Vitality Australia evolved from a small, two room laboratory underneath a house in 1999. Glen was experimenting with functional foods and herbal extracts, trying to create the right mixes for his chronic fatigue patients at the time. He was very busy running his Wholesale Health Distribution company. His wife and son ran their Health and Organic food store and the shop also had a clinic in which Glen liked to practise one day a week. His consulting was, and still is today, his real passion and it was from the time spent with his patients that Glen saw the real need for Functional Foods and Glycetracts and he created the brands, BioActiv and Sunray. Glen’s two Practitioner Only brands, that essentially were the kick start to NVA. 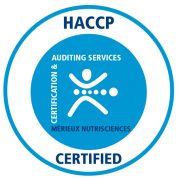 Over a decade has passed and Natural Vitality Australia has grown exponentially and is now operating from its own HACCP approved premises in the heart of Brendale (30 minutes from the city). NVA not only produces its own health and vitamin ranges, but manufactures the worlds most potent Homoeopathics and most recently added natural cosmeceuticals to its line up. NVA also offers a contract manufacturing facility, as well as distribution and fulfilment services. There is so much that NVA can offer new and existing clients from research and development, current formulations under any label, graphic design services for the products, storage, warehousing and shipping nationally, or on a global scale. And if we can’t make it, we can help you find someone who can, as we are connected to the best TGA laboratories in the world. Natural Vitality Australia is all about creating, innovating and cultivating, as we strive to bring our customers the best natural medicines in the world with the latest advancements in health and nutrition at a cost effective price. © Copyright - Natural Vitality Australia. All Rights Reserved.